People CHRIS DUNLAVEY, FAIA | Brailsford & Dunlavey, Inc.
As president of B&D, Mr. Dunlavey has co-directed the development of the firm's practice since its founding in 1993. An architect with an advanced degree in real estate development and finance, he reflects a professional background in a variety of capacities within the building industry, ranging from project feasibility and planning to architectural design and program management. Before founding B&D, he was a project manager with MPC Associates, prior to which he practiced architecture with Skidmore, Owings & Merrill in New York. Today, Mr. Dunlavey specializes in managing the development of anchors of community such as PK-12 schools, major sports venues, and higher education “quality of life” projects including recreation and athletic facilities, campus unions, and student or faculty and staff housing. He has lectured and written extensively on the feasibility analysis, financing, programming, design, and construction of such projects. His work has led to recognition for B&D with numerous industry awards, including the 2015 DC Building Industry Association (DCBIA) Community Partnership Award for the firm’s leadership in the civic collaboration to bid on the 2024 Olympics on behalf of the greater Washington, DC region and the City of Washington, DC. A member of the prestigious American Institute of Architects College of Fellows, in 2005 Mr. Dunlavey was named by Street & Smith's Sports Business Journal as one of the "Forty under 40" comprising the most innovative and influential executives in the sports business industry. He was also honored with a 2008 DCBIA Achievement Award for work on Major League Baseball's Nationals Park, and he is the recipient of a United States Olympic Committee commendation for his pro bono services, planning, and leadership in pursuit of a return of the Olympic Games to a U.S. city. There’s a buzz throughout major-league baseball about Montreal regaining the franchise it lost when the Expos moved to Washington in 2005. Brailsford & Dunlavey, a firm tied to sports facility development, has formed B&D Venues as a separate division to focus on sports projects. The Washington firm conducts feasibility studies and market research for several building types, ncluding stadiums and arenas, as well as serving in the role of owner’s representative for the stakeholders financing the deals. Brailsford & Dunlavey CEO Paul Brailsford (his firm has worked for over 18 years with 200 colleges) recommends exploring markets with high barriers to entry—or risk oversupply—and says to remember that each school has different policies and off-campus markets. The H-shape design planned for New York City’s new Public School 109, as described by The New York Times, allowed for large courtyards shielded from neighbors’ noise for play and recreation, windows that open onto the courtyards to provide light and air, and thoroughly ventilated wardrobes to dry clothing and maintain circulation. That was a few years ago—in 1901, to be exact. From the IMG Intercollegiate Athletic Forum presented by SBJ/SBD. A plan for a new $35 million ballpark for the Charlotte Knights calls for the team and their fans to squeeze into one of the smallest sites in Triple-A baseball. The Oakland A’s plan for a new ballpark in Fremont, Calif., expected to be announced officially this week, marks a shift to the Bay Area suburbs that strikes against the decidedly urban ballpark development wave of the past 15 years. WILL BIGGER BE BETTER FOR COWBOYS STADIUM? For the Dallas Cowboys, size matters. Street & Smith’s SportsBusiness Journal held its fifth annual Forty Under 40 black tie gala last week at the Waldorf-Astoria, capping off a busy week that included the fourth annual Octagon / Street & Smith’s World Congress of Sports. Planning, designing and building a sports and entertainment facility is like doing a jigsaw puzzle. The Nashville Sounds have gone from words to action, presenting a proposal to Metro to build a $37 million mixed-use ballpark on the Thermal Transfer Plant site. The Phoenix Coyotes’ $180 million, 17,500-seat arena in Glendale is being built at a record pace for a venue that size–just 18 months of construction from groundbreaking to its scheduled December completion. John Acree might well be the very fan sports team magnates and Washington area planners dream about when they envision what a Major League Baseball team might mean to the region in cold hard cash, someone who pumps more than a little money into the local economy when he’s out on the town to enjoy a ball game. The District’s pursuit of a major league baseball franchise and new stadium took an important turn last night at Howard University Hospital: the involvement of the general public. The Virginia Baseball Stadium Authority last night narrowed its list to four finalists, including renowned sports architectural firm HOK of Kansas City, Mo., for the design of a new ballpark in Northern Virginia. Arco Arena is economically obsolete or will be soon. Minor league baseball is afraid of becoming a victim of its own success. Cincinnati is far from being the only city on a stadium-building binge. The possibility of the Chargers picking up and moving to Los Angeles or somewhere else remains just that — a possibility. The Charlotte Hornets have given the city of Norfolk and Hampton Roads Partnership a list of issues they say must be addressed before the NBA team would move to Hampton Roads. The Coliseum’s bookings and revenues have declined in the past three years, but the annual cost to run the facility has stayed roughly the same. Norfolk city officials are enlisting the help of Washington consulting firm Brailsford & Dunlavey to help lure the Charlotte Hornets, whose owner, George Shinn, is looking to move his team. Washington-based Brailsford & Dunlavey has done facilities planning and project management for large construction jobs across the country. Bobby Goldwater, president of the D.C. Sports & Entertainment Commission, has led the fight to keep the lights on at RFK. The Auburn University Board of Trustees Athletic Committee cleared the way for another expansion to Jordan-Hare Stadium at its Oct. 4 meeting. Last January, during his second scouting visit to Hampton Roads, Major League Baseball consultant Corey Busch gave area officials a homework assignment: If the region was serious about landing a team, do a study. The city of Portland has revised its plans to build a new arena to replace the Cumberland County Civic Center. Portland is trying to piece together what could become Maine’s first sports finance deal as it contemplates a mix of tax-exempt debt and charitable donations to fund a replacement for the Cumberland County Civic Center. The record-setting $ 800 million sale price of the Washington Redskins likely will prompt the team’s new owner, Bethesda businessman Daniel M. Snyder, to market the franchise much more aggressively than the low-key style of the late Jack Kent Cooke and his son, John, according to sports industry experts. City officials appear ready to publicly advocate for a new arena in Portland’s Bayside neighborhood, now that an outside consultant has concluded the project makes good financial sense. A 10,000-seat arena would not prove too disruptive to a neighborhood dominated by social service agencies, a consultant said. Greater Portland may not have enough people or money to support a new, 10,000-seat sports arena. They know what the pitcher’s mound will be made of, they just don’t know who will build it. With only two weeks remaining until first-round bids are due for the sale of the Washington Redskins, as many as 10 bidders could vie for one of the most prestigious sports franchises in America. Many colleges and universities around the country know whom to call when they want to build a recreation center or other sports facility on campus. 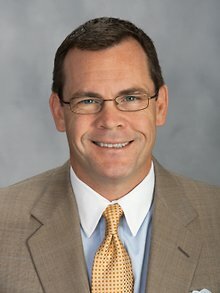 University of Rhode Island President Robert L. Carothers got his first good look yesterday at a proposal to replace Keaney Gym and build an ice- skating facility and a golf course on the URI campus. A $143 million, 20,000-seat arena in downtown Norfolk for a proposed National Hockey League team would generate an annual profit of $777,000, according to a report presented Wednesday to the region’s city managers. After months of planning and negotiation, Hampton Roads’ bid for an NHL team will kick into high gear Tuesday when prospective owner George Shinn and area officials travel to New York City to make a presentation to the NHL’s owners and commissioner. Progress was made Wednesday in the first negotiating session over a proposed 20,000-seat arena attended by George Shinn, sources close to the negotiations say. Does Hampton Roads have what it takes to support luxury boxes — at least 50 suites at $80,000 to $120,000 each a year — in a new arena? The puck has been passed back to George Shinn. An 18,000-seat arena for a National Hockey League team would cost the region about $3 million per year over 20 years, about half the amount anticipated by political leaders a month ago, according to a preliminary estimate from an accounting firm hired by the Hampton Roads Partnership. Area political leaders have embraced a compromise proposed by Virginia Beach on hiring a consultant to study a 20,000-seat sports arena. The city’s promise to spend no tax money in its quest to keep the California Angels could cost it the team, according to sports analysts and baseball officials.